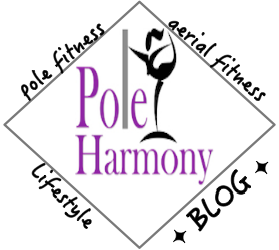 Pole Harmony: Instructor Perspective: The Aerial Diaries. Instructor Turned Student. Instructor Perspective: The Aerial Diaries. Instructor Turned Student. My new beginner series has begun! There was a slight hiccup in getting this class started due to weather. The first class was a one on one experience and the remaining students are making up their missed class. I perceive this as a good thing. It's letting me see the necessary revisions as this first group has officially become my trial group. I feel as though I too am a student. My students are teaching me just as much as I'm teaching them. I look forward to the makeup session this Sunday and will write more based on my assessment of the class. A few students missed their first class due to a weather cancellation. I offer occasional makeup sessions during open studio. The open studio session ended up consisting of three classes being made up at the same time. It was a little chaotic but I was able to address everyone and go over all the essential points of the curriculum. The aerial silks students required more attention and one on one since it was completely new material for them. I started with having them work on their climbs and some shoulder and postural conditioning exercises. After they worked on those exercises, we moved on for some review of foot locks then we began integrating moves that utilized the foot lock. The class finished with some basic extra conditioning moves appropriate for beginners and concluded with a group cool down. I did take note that the students were physically exhausted by the end of the session, therefore they received a good workout. What I learned- and this is something I've observed in both pole and aerial- is the need to focus strongly on shoulder engagement. When I cue students to engage these muscles appropriately, I have noted that both my pole and aerial students are then successful in performing the desired movement. Consistent reminders are a necessity. This concludes my evaluation of week 1. I'm excited to see this program take off and work more with students as I teach them and learn from them at the same time. Thank you for reading my journey.